Environmental consciousness influences customers and their behaviour – even when it comes to purchasing an electric fence. They do not only pay attention to the food they consume, their clothes and furniture or build their houses with sustainable and environmetally friendly materials. They now implement this behaviour in all parts of their life. This is one of the reasons why energy-saving energisers operated with solar technology have become so increasingly popular. 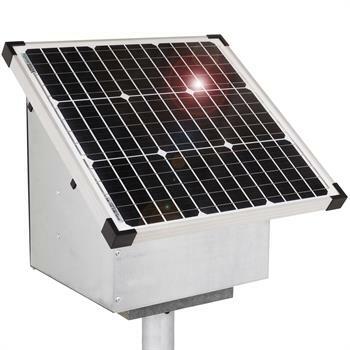 Solar systems for electric fences are a worthwhile and commendable investment. Regardless whether it is a mains energizer, a 9V battery energizer or a 12 volt energizer that is used – a lot of energy is consumed during the permanent operation of an energizer. And the more powerful the energizer, the higher the energy usage. The increased consumption of natural resources is a burden on the environment on the one hand as well as on your wallet on the other. 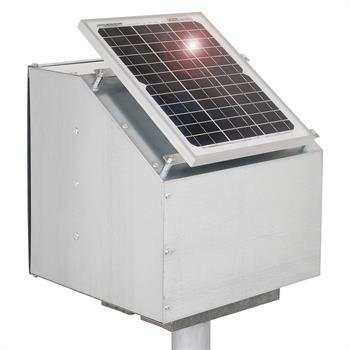 Anyone who wants to save money and protect the environment at the same time should use a solar system for their electric fence. 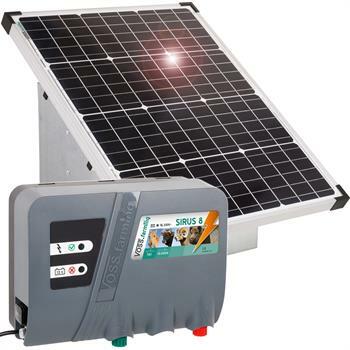 A solar-powered energizer is an investment in the future because it assists climate protection. 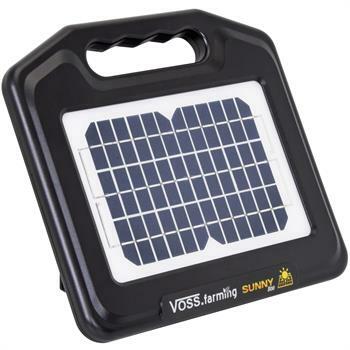 And this while a solar energizer is just as powerful, functional, durable and long-lasting as a traditional energizer. 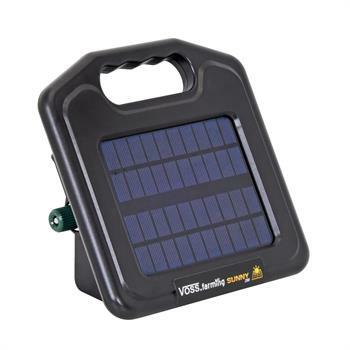 How do solar powered energizers operate? 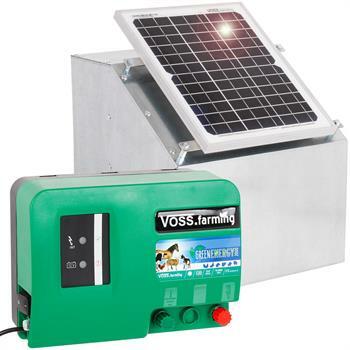 It makes perfect sense to use solar systems for electric fences because, after all, electric fences are outdoors and the sun is right there. 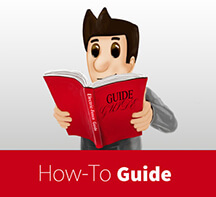 If an energizer is combined with a solar module, the solar cells collect energy from the sun's rays during the day. 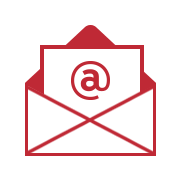 The UV radiation is converted into electricity. This electricity flows into the rechargeable battery that is used for the energizer. 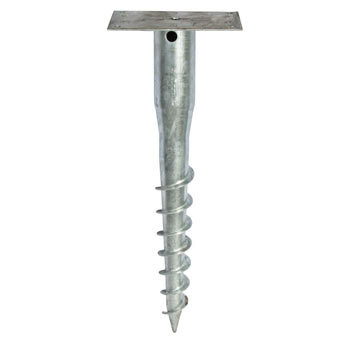 The energizer in return feeds the electrical energy into the fence system. It provides the conductors with voltage so that animals are deterred by an electric impulse as soon as they touch the conductors. 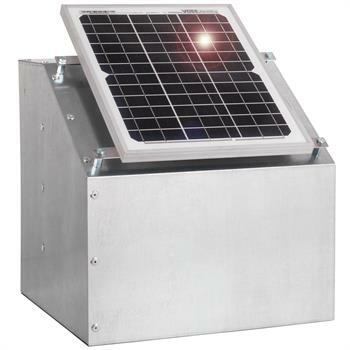 There are small differences when it comes to the operation of solar energizers. 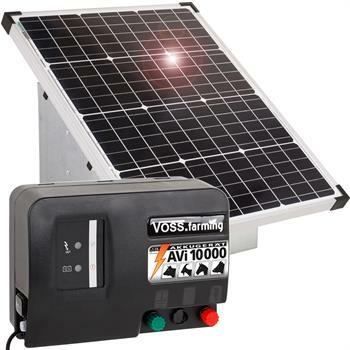 Generally, the solar module feeds the fence with energy during the day, whereas the stored energy in the battery is released at night. Really, the solar energiser produces green energy for the fence that doesn't cost the fence owner a penny. They work on cloudy days, too, because even when we don't see the sun, its' rays are usually strong enough to be collected from a high-quality solar panel. 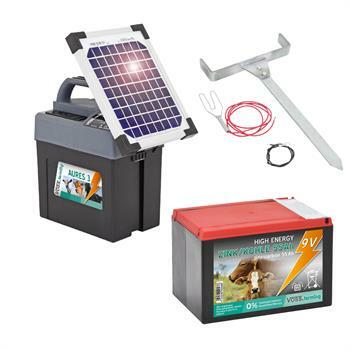 Plus, the recharged battery or an integrated mains adapter ensure that there is still power for the electric fence available on dark, rainy or cold days. 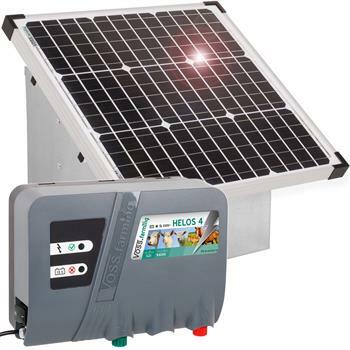 Typically, 12 V energizers are combined with solar systems. 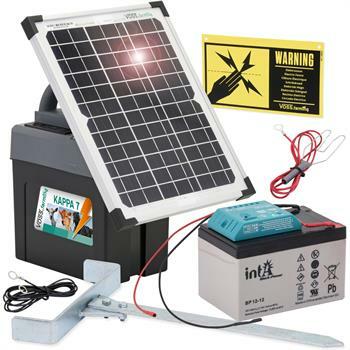 The powerful energisers have rechargeable batteries which, if connected to the solar module, will be supplied with power by it. 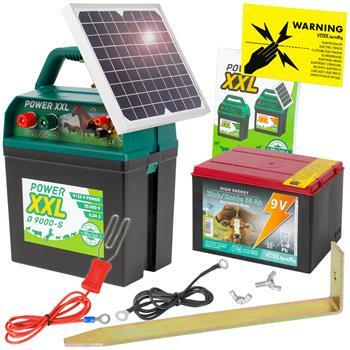 Alternatively, 9V-energizers with disposable batteries can be used. 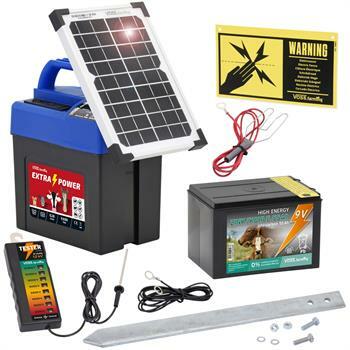 It is just as possible to power strong energizers for difficult to control animals, thick hair coats and vegetation with the sun's energy, as it is to power weaker energizers for mobile use, small animals and pet fences. 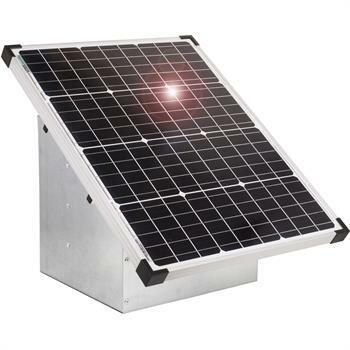 There are very handy 10W-solar-systems available that have all components integrated. 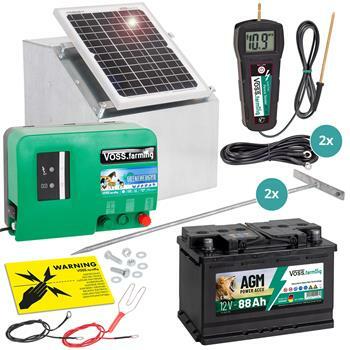 The 12V energizer is integrated and a box and accessories are also included. 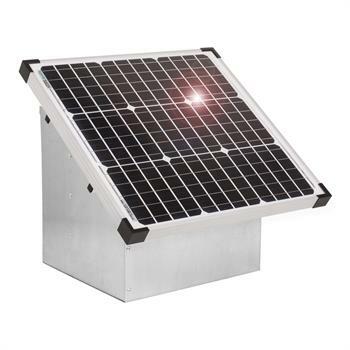 There are also 30W and 50W Solar-Sets on offer for more power. 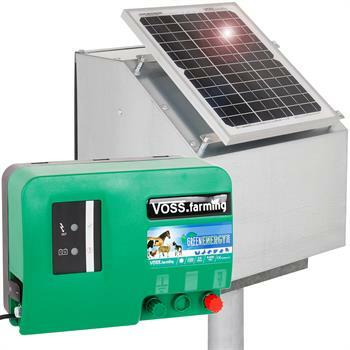 Solar-powered energisers are, depending on the model, suitable for sheep keeping, wild animal defense, for horses, cattle and pets. The joule and voltage rates provided, vary between the different models of energizers. 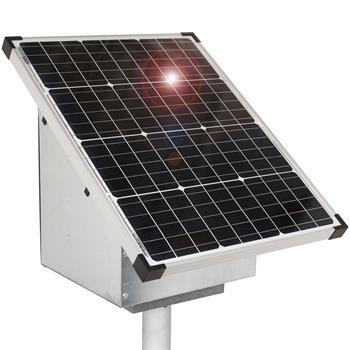 But one thing is certain – electric fence solar systems are environmentally friendly and save you money in the long run.